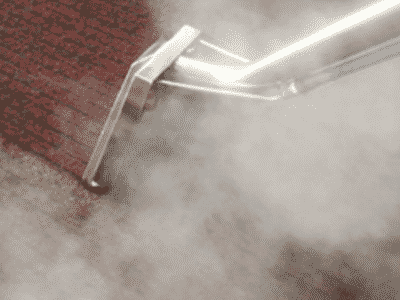 Allow Ultimate Restoration Services to steam clean your carpets between everyday vacuuming so that they look new and refreshing for a long time. We provide carpet cleaning service to Gracemere-based residential and commercial properties. No matter how heavily stained or soiled your carpet is, our eco-friendly products and modern equipment work like a charm, leaving your carpets sparkling and allergen-free as if bought yesterday. We have the skills and equipment to clean carpets of all shapes and sizes. Our sophisticated methods extract dirt from deep within the underlay and clean fibres saturated with sticky grime. Our Gracemere carpet cleaning service comes with an upfront price quote, which is all-inclusive and unbeatable for the quality of service that we offer. Whether you need frequent vacuuming to start with or regular deep steam cleaning to give your carpets a new lease of life, allow us to tailor our services to fit your budget and cleaning requirements. Our professional carpet cleaners in Gracemere carry powerful equipment and eco-friendly products that deliver outstanding, guilt-free results. In case you are not satisfied with the outcomes, we’d be happy to revisit and clean again. You no longer have to live with dirty, stained and bacteria-laden carpets anymore. Give us a call to arrange professional carpet cleaning service anywhere in Gracemere and its surrounding areas. 2. Truck-Mount Steam Extraction State of the Art Equipment that provides higher heat to kill germs and break down dirt and powerful suction than other carpet cleaning machines. 1. Pre-vacuuming – We vacuum your carpet using special hospital-grade filters and agitation. 70% of the dry & sandy soil will be removed that normal vacuum cleaners simply cannot remove. 2. Furniture Moving – We will move your furniture. 4. Rotary Agitation – For Maximum deep pile separation of soil and oils that cause re-soiling. This step leads to a 50% cleaner carpet. 5. Heavy Duty “Jet” Extraction State of the Art Equipment that provides much higher heat and suction than any other carpet cleaning machine, leaving your carpets both dryer and cleaner. 6. Conditioning Rinse -A Special Rinsing agent is applied to neutralise annoying detergent residues that can cause re-soiling, leaving a softer, fresher carpet that stays cleaner longer. 7. Rotary Dry Clean – Dries your carpet much quicker and leaves it looking much brighter. 8. Final Finish – We groom your carpet pile, resulting in fast uniform drying and a beautiful appearance. We will put protective tabs and foam blocks under legs of furniture preventing furniture and rust stains forming. 9. Money-Back Guarantee – It’s the best result for your carpet guaranteed, or it’s FREE. 1. Furniture Moving – We moving furniture. 3. Rotary Agitation – For Maximum deep pile separation of soil and oils that cause re-soiling. This step leads to a 50% cleaner carpet. 4. Heavy Duty “Jet” Extraction – State of the Art Equipment that provides much higher heat and suction than any other carpet cleaning machine, leaving your carpets both dryer and cleaner.